We have a wide range of leather and fine fabric upholstery available, and we can cover your bench with the upholstery appropriate for your home décor. 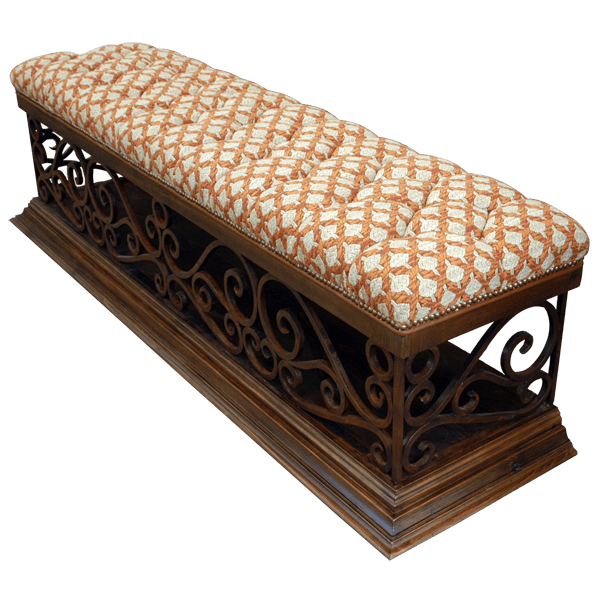 This gorgeous, handcrafted, Western style bench is designed without a back, and its comfortable, padded seat is upholstered with beautiful, patterned, fine fabric. The upholstery has a beautiful, button tuft design, and the fabric is hand tacked to the solid wood frame with decorative, gilt nails. The seat rest on elegant, curved, hand forged, iron designs, and the iron has an oxidized finish. 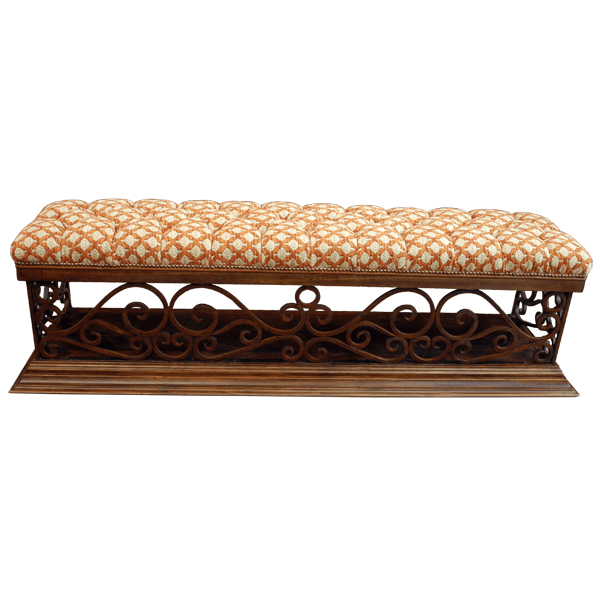 The bench is supported by a staggered, solid wood, molding base, and the base has a classic finish. The seat´s frame and its base are made with the best, sustainable, solid wood available. It is 100% customizable.